Protected: Vanity Fair notices The Selected Letters of Laura Ingalls Wilder. Shenanigans ensue. This is my favorite entry of The Pragmatic Costumer. The writer, Liz, makes excellent points about how the modern brushes and shampoos/conditioners/styling products simply do not reflect historic methods, and marketing has actually changed how we style our hair over the decades. I’ve had my own odyssey with hair care as I’ve aged, and always hated styling products. 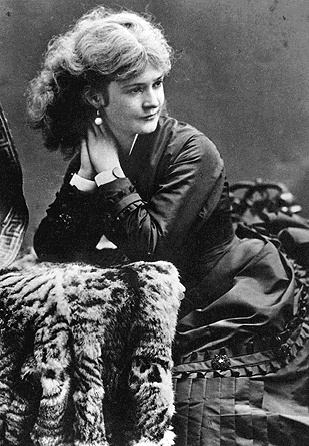 Transforming myself into a reasonable facsimile of a woman in the 1890s goes far beyond getting a great dressmaker. Grooming takes center stage, and is very different than most 21st century women would find comfortable. I make some small compromises, but endeavor to be as authentic as possible. When I was in the early stages of planning my first-person presentations, Meet Laura Ingalls Wilder, I began growing my hair. I was putting together many necessary elements for a portrayal that was as close to accurate as possible, considering that Laura herself left behind great descriptions of her clothing when she was a teenager, but little of her appearance as a married woman with a half-grown child, a farm full of hard work and a flock of chickens to tend. I wanted my wardrobe and grooming to be as close to what she and other women of her taste and means and practical needs might have done as possible, but also to maintain a level of practicality that would translate for travel and everyday life. I knew I had a challenge. I have always had very oily, straight but unevenly-textured, mostly fine (but tons of it) hair. So, with the help of a great hairdresser and some experimentation, I expanded upon my earlier commitment to reduce damaging habits and products. -ALWAYS brush hair before going to sleep. NEVER sleep with clips, barrettes, braids, or hair ties in your hair (it tugs and tears at the hair as your head moves on the pillow). -NEVER use shampoos or conditioners which contain sulfates. You don’t need a lather to get it clean! Sulfates dry your hair and encourage breakage. -NEVER use a brush in wet hair. A wide-toothed comb is gentler. -ALWAYS avoid a hair dryer when possible/practical. If you must use one, get one with a “cold shot” setting and only use that setting. It will lessen damage. -NEVER let your hair loose if the weather is very windy. The tangled mess will be difficult to untangle without damage; not worth it! It took me 5 years to get to a length that works for all aspects of my life and isn’t too impractical for everyday. I compromised by keeping the length at the lower middle of my back, and use a carefully-matched switch to add realistic (and historically-accurate!) 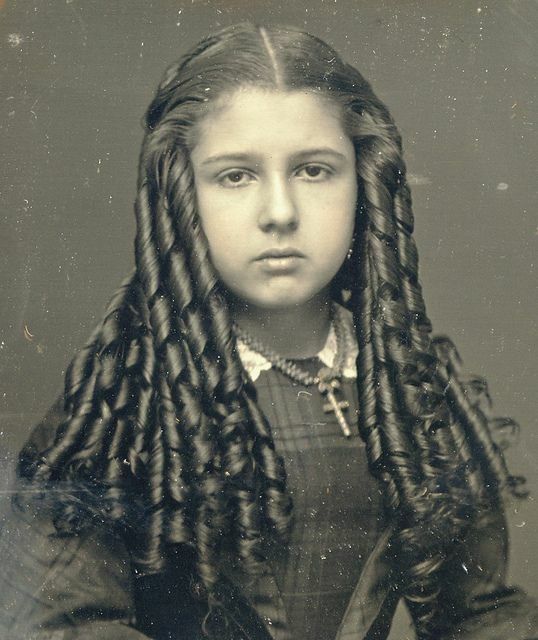 volume to my 1890s hairstyle. I have very greasy hair and always have. It’s also fine, but dry at the ends, so I have to cleanse it every day yet hydrate it with heavy creams. Recently, I’ve delved into the world of alternative haircare. In my case, I’ve taken up co-washing, which uses conditioner as a “shampoo” that doesn’t strip hair as badly as regular shampoo. It’s basically alternative hair care for casuals, but so far, it’s been working pretty well! 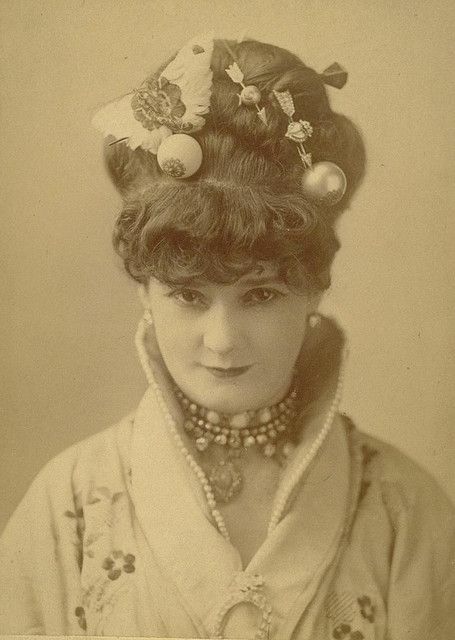 A lot of alternative haircare methods remind me a lot of pre-20th century haircare methods. Before the great hygiene shift created by 20th century marketing, women didn’t just style their hair differently than we do; they cared for their hair differently, too.